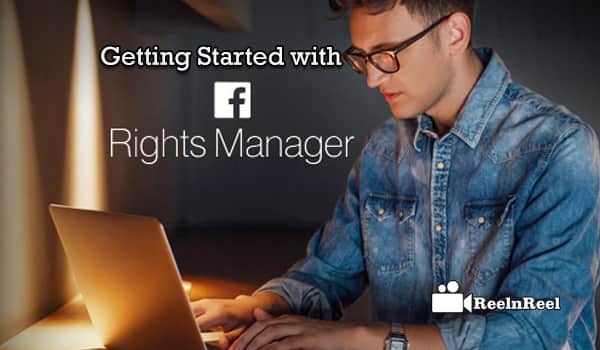 The Facebook platform had launched the new rights manager to protect the copyrighted content on its platform. It is just like a YouTube content ID system as an administrative tool for the pages which allows them to upload the video clippings with complete protection. The platform is going to monitor the copies of videos that are posted on a Facebook platform and generates the report on any violations of content and notify to the original publisher. The right manager maintains the reference library of the video content to monitor and protect the material which includes live video streams and specifies the permissions in using or utilising the video by setting the match rules. The rights manager also recognises the new matches against the policy. Before claiming one must send a message to the person who had posted the content and can resolve without contacting the platform or you can submit a report to the Facebook platform by filling a form. The online form is the fastest and straightforward way to submit the claim of infringement of the copyrights. You must submit the information related to your contact, organisation etc. You must also describe the copyrighted work and the content along with the declaration. The intellectual property had reported the copyright ownership which is essential to the Facebook platform as to take action against the people that are saying for the copyright infringement. The platforms policy is to disable the accounts and pages of the people who had repeatedly involved in the violation. The Facebook platform provides the report number along with the right holder’s name and email address that is provided by the reporting party along with the description of the removed content and the rights holders’ copyrighted work along with the removed content. The Digital Millennium Copyright Act applies to the content that was reported and removes the infringed copyrights. The counter notification can send users a warning of copyright infringement. After the platform receives the effective DMCA can forward to the reporting party which if does not notify the platform can be filed an action in seeking a court order within 10-14 business days and the restored content cannot count against the user of the account was reviewed to be potentially violated the policies.